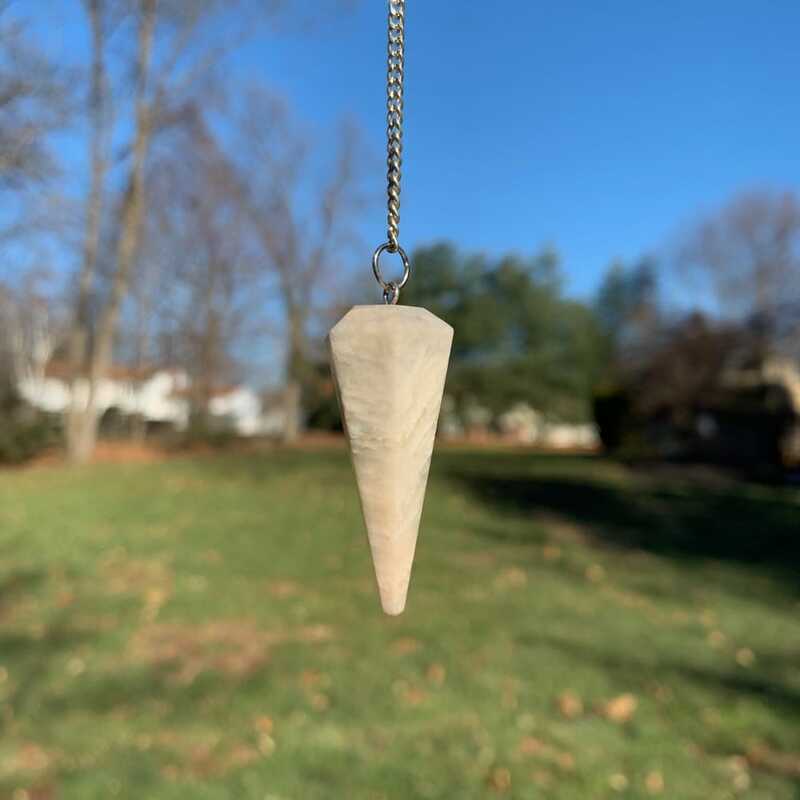 Allow this pendulum to reconnect you with the powerful intuition you were born with. Intuitive energy and inner-knowing is granted to us from the energy of the Moon. This powerful and influential energy is expressed through the earth as Moonstone. This pendelum is the perfect way to access the subconcious and to reveal truths that may lie hidden beneath many layers.